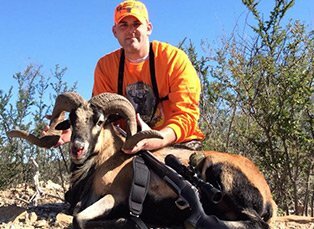 Discover what it means to experience a truly unforgettable South Texas hunt! 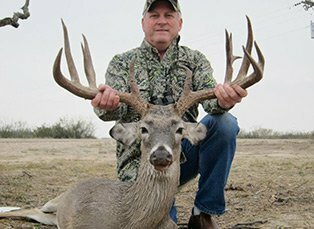 Whether you're an experienced hunter or brand new to game hunting, 4 Amigos Ranch offers a wide range of all-inclusive hunt trips, located in one of South Texas' most scenic and desirable places to hunt. 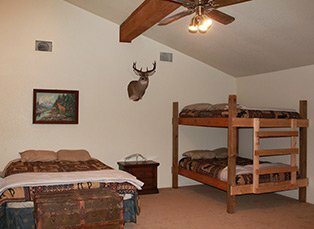 All trips include food, lodging and transportation around the ranch. We also provide free skinning and capping with some packages, in addition to complementary meat freezing and quartering in time for your departure. 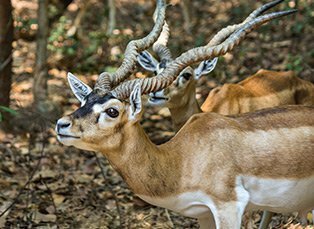 If needed, we can arrange taxidermy services with the final product shipped conveniently to your home. For those planning on flying their own private planes to our ranch, we have a private on-site runway, as well as a hanger capable of storing a wide range of smaller aircraft. Please contact us well in advance to make proper arrangements and confirm availability and the dimensions of your plane. 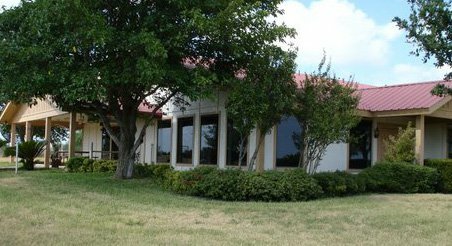 Our hanger is amply secured for your protection and peace of mind. 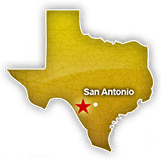 Over the past decade Texas has become inundated with Feral Hogs, with numbers now exceeding the 4 million mark, state-wide. This unexpectedly high overpopulation presents hog-hunting enthusiasts with a unique opportunity. 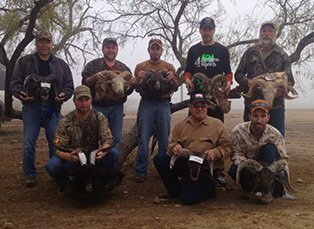 For a limited time, 4 Amigos Ranch is offering a Buy 1 Get 1 deal on all hog hunting trips. 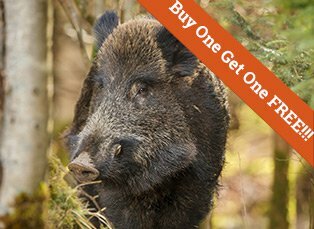 Take advantage of this great deal while we can still offer it, and enjoy 3 days and 2 nights in the wild on a semi-guided trip that includes food, lodging and harvest. Contact one of our staff for complete details.